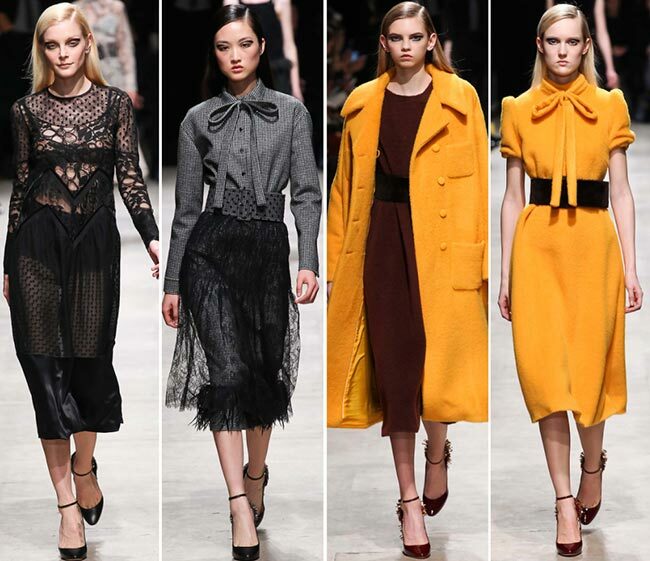 The splashes of yellow look superb in the Rochas fall/winter 2015-2016 collection presented today on the Paris Fashion Week runway. The fashion, beauty and perfume house was founded back in 1925 by Marcel Rochas, a fashion house currently owned by Procter and Gamble. We all know Rochas for its signature perfume called “Femme’ and packaged in a pretty pink bottle with a black bow. 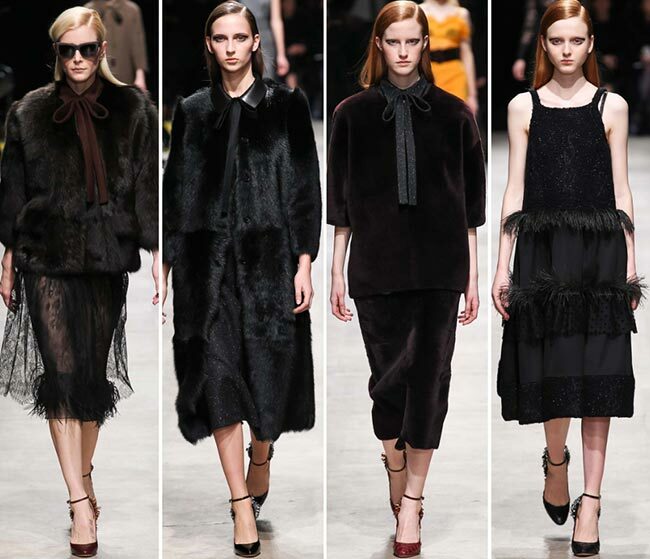 The prettiness definitely has translated into the womenswear collections as well, as the latest pieces attest to. 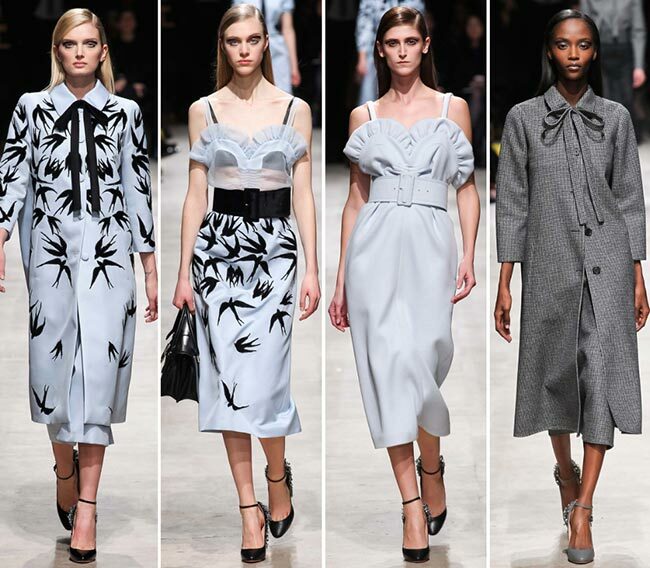 Rochas was the first designer to bring 2/3 length coats to the public, as well as the skirts with pockets, both of which are available in the next seasons’ line-ups as well. 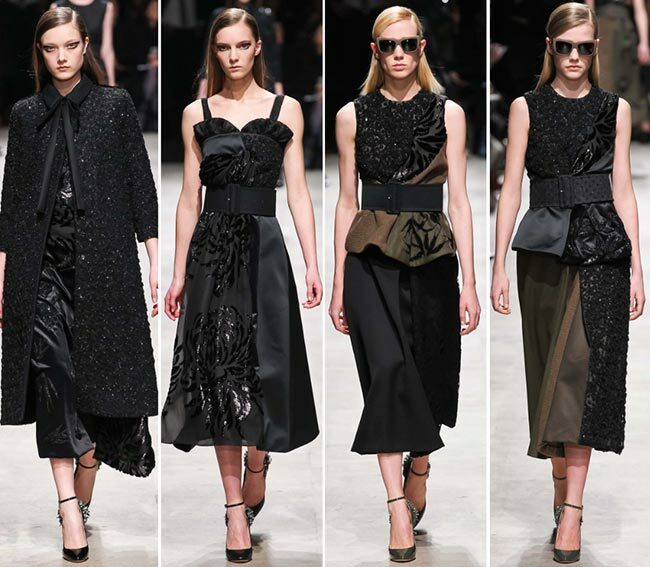 This collection is positively ravishing and the magnificence of the fashion house shines through perfectly. 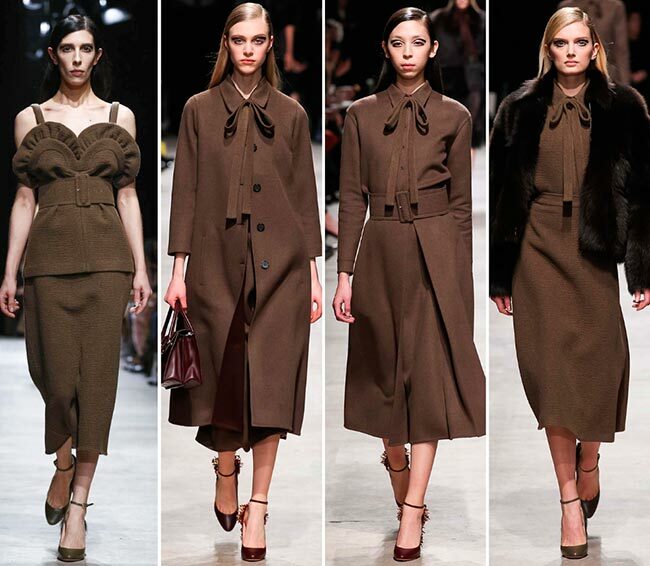 The show starts with some interesting pieces in a dirt brown coloring, the first having a chest region with a sweetheart neckline that flares out and has pleated ruffles surrounding the top of the bust region, a spaghetti strapped top with a high placed belt in the same color. The skirt is part of the matching set, falling to mid-calf and complemented with matching hued ankle strapped shoes. Those ankle straps appear on all the shoes along the collection, up until the final piece that comes right after the dress version of the first outfit, but in a bluish tinted white. That tint is used on the coat that is thrown over the dress as well, wherein the black shadows of sparrows create the patterned print that looks almost floral from afar. The black boat tied at the lapelled collar give the whole ensemble a rather olden demure look while also speaking of mysteries left untold. The black sparrow print appears on most of the final batch of outfits presented, including a rather interesting lightweight dress with a see through material covered in the sparrow print, falling to mid-calf and accentuated by a turtleneck top and a black belt cinching the waist that comes with its own white sparrow prints. The model appears a little too strict for this look as it would suite a sweet looking woman so much better, as is the case with the inverted version of this same dress, the sparrows coming in white and the dress in back, the belt in an off white hue and the sparrows on there in a pure shadow. Between the earth-centered coloring and the bright yellows strewn in there, the black velvet and the dark red dress, the dark blue hues and the greys, the lacy piece and the feathery fringes, the cashmere and the silk, this is one collection that we cannot help but love entirely, even if the fanning busts with the frilled edges leave us scratching our heads a bit. The midi hems are certainly awesome, while the dresses with the belts in the matching hues cinching the waists have us planning our work wardrobes. 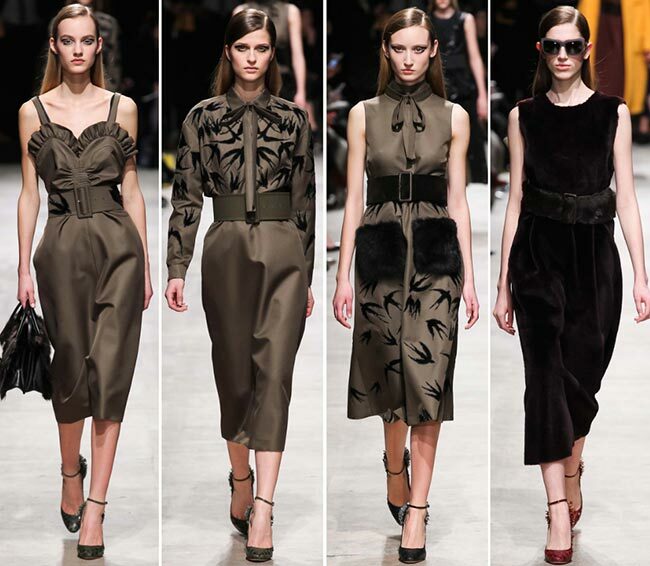 Rochas is a fashion house that can be proud of its achieved and the current creative director should know that he has once again brought to light a collection the keeps the Rochas reputation in place.